A couple of years ago a very generous Elsewhere subscriber sent me some albums in the Ethiopiques series, music of all persuasions from Ethiopia (mostly club singers and jazz on the ones I received) which were as unexpected as they were enjoyable. 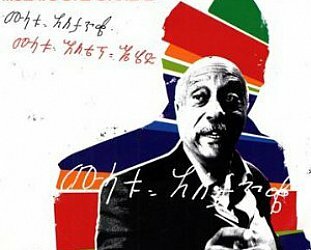 I'm told that vibes/keyboard player Mulatu Astatke got a whole disc to himself because he was one of the great pioneers and internationalists in Ethiopian music. 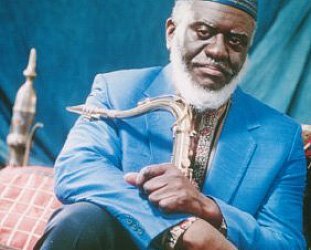 He studied at Trinity College in London in the late Fifites and hung out with the likes of Joe Harriott and Ronnie Scott, played in the UK jazz scene in the Sixties, attended Berklee in Boston (the first African to do so) and recorded in New York, brought together Ethiopian music with jazz and met John Coltrane, went back to Addis in the late Sixties and became the country's top arranger, recorded with Coltrane's widow Alice in Ethiopia (the tapes were lost), played with Ellington when he visited in '73 . . . 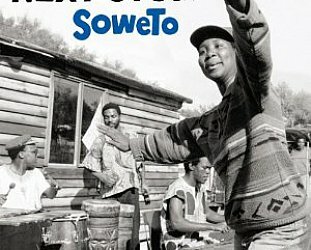 The nasty and reppressive politics of his homeland intervened although he still managed to travel abroad and saw the likes of Sun Ra and Fela Anikulapo Kuti. 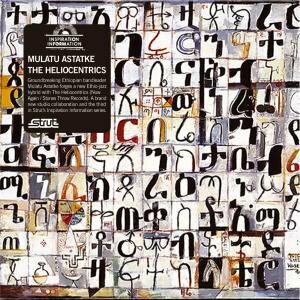 This frequently remarkable album teams him up with London's Heliocentrics (Sun Ra acolytes) and is the third in series of Strut albums which puts sympathetic musicians together (previously Amp Fiddler with Sly'n'Robbie, Horace Andy with Ashley Beedle). The spirit of Sun Ra is evident in places in the spaced out grooves and skittering sax and trumpet, but of course there is also that oddly exotic Ethiopian element evident in the vocals of Yezina Negash, the weaving flute and sometimes use of traditonal instruments. But this is a jazz album not some enthographic project and the Heliocentrics (and guests) call in post-Coltrane and sometimes Fela-influenced sax, theremin, aggressive piano, brittle guitar, and pounding bass and drums in the manner of thumping trip-hop. There are Latin rhythms alongside music influenced by the Coptic Church too. It is a sometimes thrilling and innovative amalgam and if a few tracks don't quite gel even those have some element to recommend them. 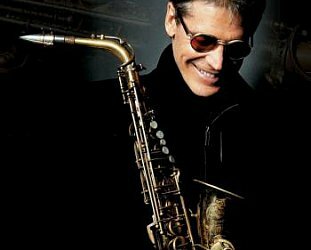 DAVID SANBORN, JAZZ AND ELSEWHERE SAXOPHONIST INTERVIEWED (1992): Where it's at, wherever "at" is at.